Over 2,000 people visited the site of old Campden House. We thought we were doing well on Saturday with 900+ people attending, but on Sunday we ‘clicked through’ over 1,000! 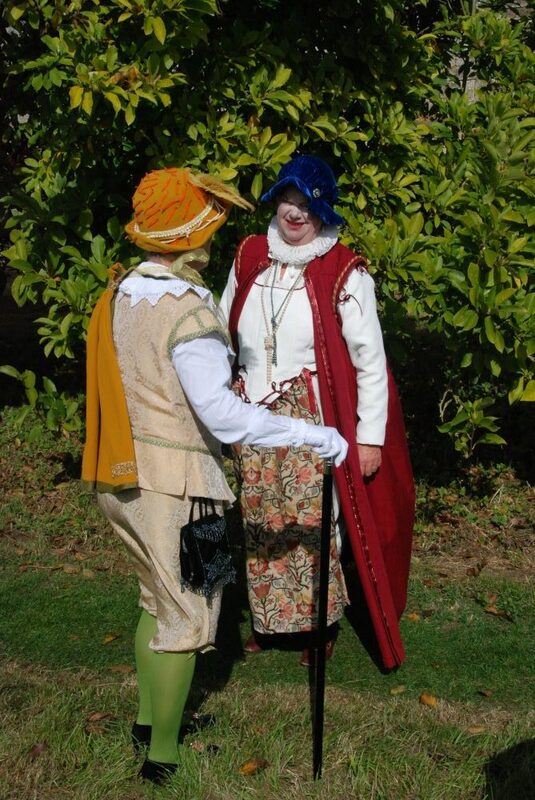 They dressed up, they tried their hand at archery and bowls, they learnt about Jacobean gardening, spinning, costume, Sir Baptist Hicks, the house he built and the gardens he created. They enjoyed tea and scones, ice-creams, burgers, bacon baps (all very Jacobean!) and visited the Banqueting Houses and bought cakes and preserves and fudge and lavender bags from the Country Market. They watched the Campden Morris dance on Sunday. And The Sun Shone (with only one very brief drizzle of rain)!! The Open Days ended in the Church Rooms with a wonderful concert of Jacobean music by Micaela Schmitz (harpsichord) and Abigail Seabrook – a fitting end to a superb event. And to Amanda for cutting the grass.